It’s happening… this weekend you might be lucky enough to gain an extra hour of sleep or you might be dreading the end of daylight savings, anticipating early wake ups from your kiddos. Don’t fear, help is near! Whether your child has already had their first day of school or are about to, I’m sure this will be helpful! Let me just start off by saying, honestly and sincerely, no judgment for what might have gone down in the last couple of months. 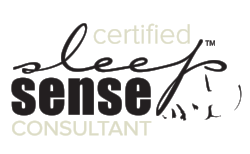 I know... I’m a child sleep consultant and you may think that I’m going to chastise you for the late bedtimes, unenforced rules, inconsistent schedules, or any of the many “inadvisables” that may have taken place over your summer vacation. But I get it. I really do. I’m a mother myself and I know how precious these summer months are. You want to squeeze every minute of joy and togetherness you can from these glorious days. If it’s a choice between consistent bedtimes and staying up to watch the fireworks, I mean c’mon. That’s no choice at all. So no matter what might have happened over the summer vacation, all is forgiven. The mission now is to get your child back on track so that they can get back to sleep at a reasonable hour. So I hope you’ll keep reading without fear of any finger wagging or talk of what you should have done differently. I promise you, it’s not in here.